President Trump hints he wants the death penalty for drug traffickers. (He’s an unabashed admirer of Philippine President Rodrigo Duterte.) Is the President calling for the death penalty for doctors prescribing Oxycontin, Percocet, morphine, and other pain killers? After all, an estimated 80 percent of people using heroin first got hooked by misusing opioids. On combating the opioid crisis, as with other issues, the President is a mass of bluster, hypocrisy and contradiction. Everyone decries opioid addiction. Maybe that’s because polls show that one in ten Americans has a relative or close friend who has OD’d on opioids. Drug abuse kills more Americans annually than car crashes. The opioid epidemic has reduced life expectancy in the United States two years running. As the sign near a local park declares: Addiction harms everyone. What to do about it is not so easily agreed upon. The President, for all his stated concern, has presented a budget with savage cuts to the Medicaid program (by $1.1 trillion over ten years), even though Medicaid is a major source of funds to combat a problem a majority of the public consider a disease. He also wants to slash funding for the Office of National Drug Control Policy and has left the Drug Enforcement Agency leaderless. He put together an opioid commission and has ignored its recommendations. One member of that commission is MA Governor Charlie Baker, who has proceeded without Trump to take significant steps, including major funding increases for drug addiction, training doctors and nurses in opioid overuse, limiting first-time prescriptions to seven days and expanding access to residential treatment for Medicaid recipients. Former Governor Deval Patrick had taken the first step by declaring the opioid crisis a public health emergency here. Taken together, these moves are beginning to make an impact on deaths from overdoses. Attorney General Maura Healy, speaking recently at The New England Council, has her own initiatives, including securing a $5.5 million settlement with Walgreen’s for past overcharging for opioids. Some of those dollars will go for further education initiatives. She is also working with 43 other attorneys general to investigate drug manufacturers who profit from addiction by hiding research results showing the lethality of their products. Last year, she said, 2000 Massachusetts residents died from overdoses, five times the number five years ago. A major problem is Fentanyl, which is 40-60 times stronger than heroin. Healy has been working with law enforcement officials here and in Massachusetts to take hundreds of millions of lethal doses off the streets. Healy, a former basketball player herself, is working with former Denver Nuggets and Boston Celtics player Chris Herren, who had his own struggles with addiction, to bring education into all the state’s public middle schools. Friday afternoon, Senator Elizabeth Warren unveiled her plan, co-sponsored with Maryland Representative Elijah Cummings, for major federal funding for the opioid crisis. (It would target the areas hardest hit, which, include many economically depressed states most supportive of Donald Trump.) Warren challenged Trump to act on his bombast by declaring a national emergency, which would free up big bucks to tackle the crisis. 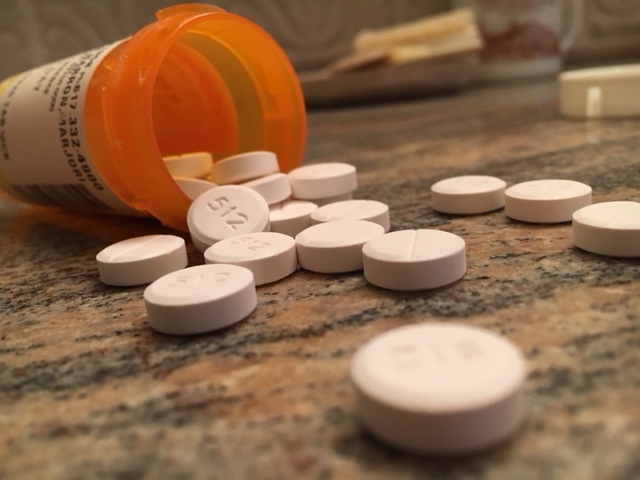 With opioid abuse, we’re facing a national health crisis. It’s going to require a major effort to resolve it. Can’t our President, for once, stop bloviating, put needed money where his mouth is, lead responsibly and not make matters worse? I fear we know the answer. This entry was posted in Politics, Uncategorized and tagged Charlie Baker's comprehensive opioid response, cutting Medicaid, Elizabeth Warren federal drug proposal, Fentanyl, impact on drug crisis, Maura Healy on Opioid crisis, Opioid crisis, opioid spurs heroin addiction, President's commission on opioid crisis, President's opioid hypocrisy, statistics on overdoses, The New England Council, Trump and Rodrigo Duterte. Bookmark the permalink.